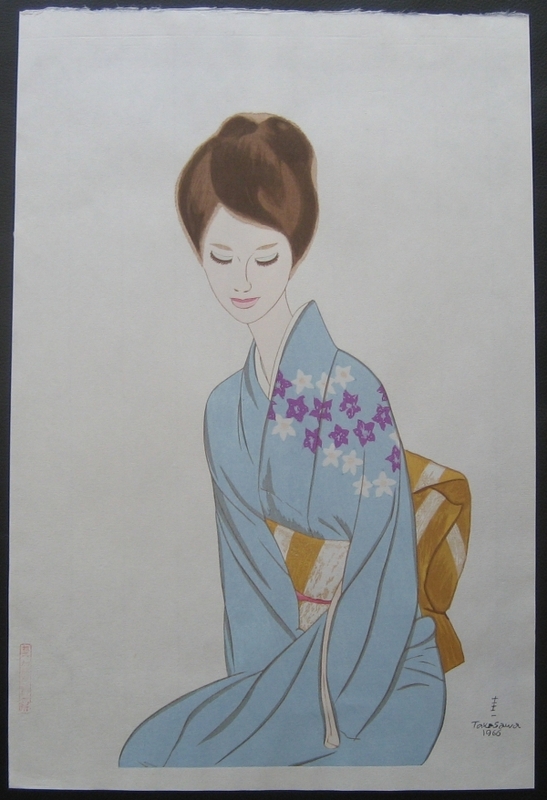 Description: Oban sized (30cm x45cm) bijin-ga woodblock print. One of five prints in an album with the fifth print being a smaller shikishi sized (12cm x 12cm) print affixed to the albums cover. This particular print is dated 1966 and the album is reported to have been produced in 1969.